Famous faces recreate their childhood holidays. Len takes journalist Angela Rippon back to Mount Edgcumbe Country Park in Cornwall to reminisce about her 1952 holiday. 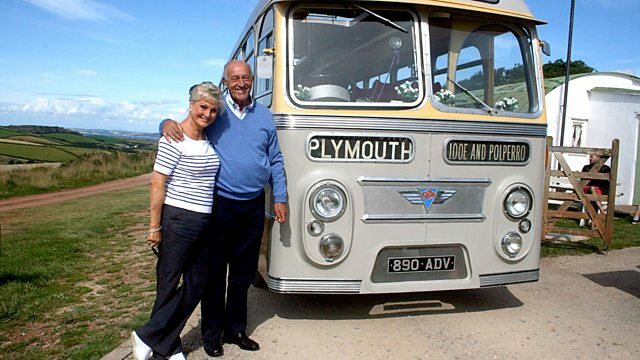 In today's journey through time, Len Goodman takes journalist and presenter Angela Rippon back to Mount Edgcumbe Country Park in Cornwall to reminisce about her holiday from 1952. Len surprises Angela by arranging for them to travel on a vintage bus to the actual camp Angela stayed in, where she teaches him to make a bed with perfect hospital corners. They also eat the kinds of food she would have and Angela introduces an intrigued Len to a lettuce and sugar sandwich. A visit to Mount Edgcumbe wouldn't be complete without a visit to the splendid country house. Here, Len surprises Angela once more by showing her a news item about the house she made for local news decades ago. They talk about Angela's varied career in broadcasting, as well as time presenting Come Dancing in the 1980s.